Head towards Wells on the aptly named Wells Road. 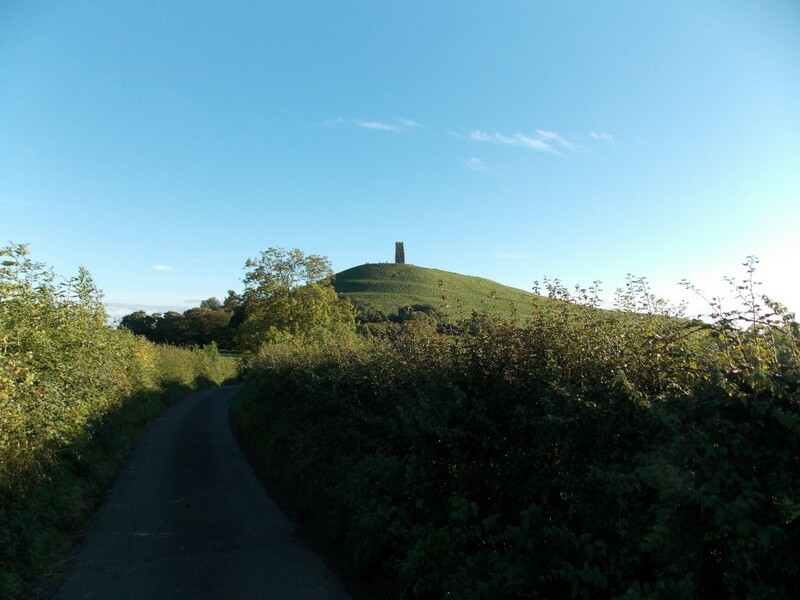 The driving isn’t anything spectacular here, but there’s something spiritually nourishing about the rich English landscape as you reach the Glastonbury Road on the edge of Wells. After going through the town of Wells, you begin to rise amongst the rolling green bumps of the Mendip Hills as you follow the Old Bristol Road. This is quintessential chocolate- box-England, as pass medieval cottages, village churches and ancient hedgerows. The road starts to twist and turn, offering some real driving entertainment. Push the handling of your car to the limit as you sweep around the tightening bends. Before too long you’ll see sign posts to ‘Cheddar Gorge’. This is where the real fun begins. 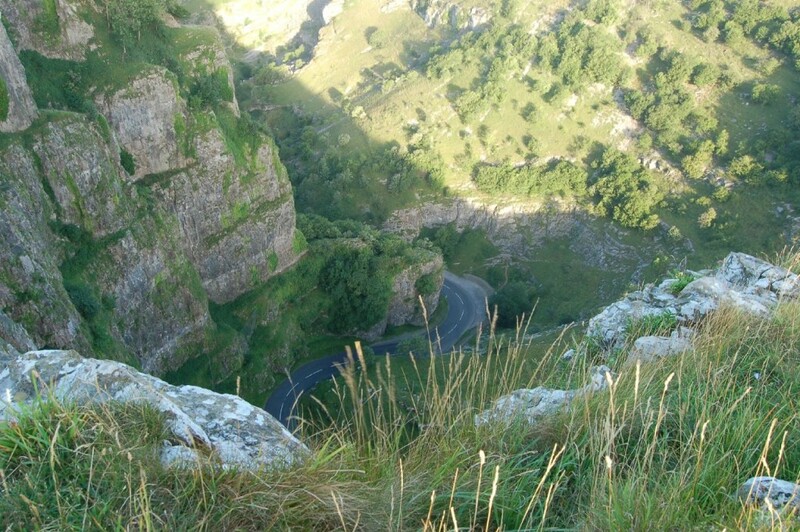 ‘Plummer’s Lane’, which leads up to Cheddar Gorge is a driver’s paradise. Dramatic sheer cliffs of limestone shroud the road in a darkened shadow as you swish around twisting bends, before you begin to quickly descend into the cavernous jaws of the gorge. When you reach the more touristy part of the gorge, it’s an amazing destination – perfect for a picnic. There’s actually more to do than you’d expect at the gorge. Why not take a walk through the subterranean world, with a walk in either Gough’s or Cox’s caves? Or, if you want to take in the breath-taking views, walk the 274 steps up the to the cliff-top walk.. Afterwards, take some time to relax with a latte and a muffin in the Costa Coffee before you hit the road again. Once you soaked up the stunning scenery (and had your caffeine boost), it’s time to head back to the flat normality of the Somerset plains. Follow the A371 then the A38 until you hit the M5 at Sedgemoor Services. Then, back to wherever you’re going. Take the scenic route around the Snowdon foothills, the UK’s second highest mountain, and experience some of most incredible landscape South of the Scottish border in the whole of the UK. 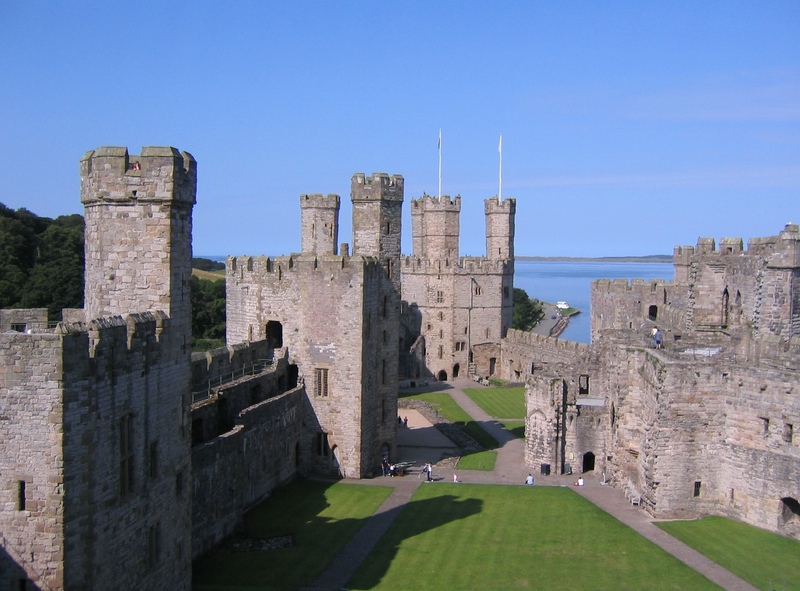 Start at Caernarfon Castle – part of the Gwynedd Castles UNESCO World Heritage Site, by the waterside of the River Seiont. This is the perfect place to absorb the kids into medieval history and remains somewhat of an exceptional example of Britain’s rich heritage, simply because of how intact it is. Once you’re ready to leave, rake the Constantine Road out of town, crossing the Seiont after a couple of minutes. Leaving Caenarfon, in the distance you’ll see the looming peaks of the Snowdonia National Park. The landscape is immediately lusciously green, with peaty rivers and rolling hills. As you continue along the A4085, both the road and the landscape become increasingly dramatic. At times you’ll have to keep your wits about you, as it can often be narrow with coaches taking the hikers up to bag the highest point in Wales. Passing the village of Waunfawr quaint cottages subside to ancient bridges as you twice cross the River Gwyrfai, before following it into the stunning beauty of the Snowdonia National Park and onto the natural beauty of the lakes, moorlands and waterfalls beyond. This stretch of road is a rewarding challenge for any driver – with tight bends, on a relatively narrow strip of tarmac. As you climb higher towards the base of Snowdon, the boggy landscape becomes increasingly dotted with streaks of lilac heather and jagged prehistoric boulders. All the time the road is challenging you and all the time the dominating figure of Snowdon becomes more and more prominent in your eyeline. Suddenly you’re in the heart of Snowdonia. The A4085 follows the River Colwyn past the bottom of Snowdon’s ‘Ranger Path’, through some truly spectacular country all the way to Beddgelert. Here you take a sharp left, joining the A498, entering the eastern section of the loop. You begin following yet another River, the Glaslyn, along to Lake Dinas. Blankets of forest hug the marshy mountainous vista as the road cuts through to Lake Gynant. As you continue, you leave the eastern section at Pen-Y-Gewd, navigating a sharp left, driving higher and higher on the A4998 before you top out at Pen-Y-Pass. A truly unbelievable view is before you. The road appears like waving ribbon stretching down the mountain. If the road is empty, it can feel like you’re hitting apex after apex as you descend – gradually at first – back to the normality of civilisation. Then you meet the Llanberis pass, where the road gradient becomes steeper, and you’re rewarded with yet another incredible panorama. 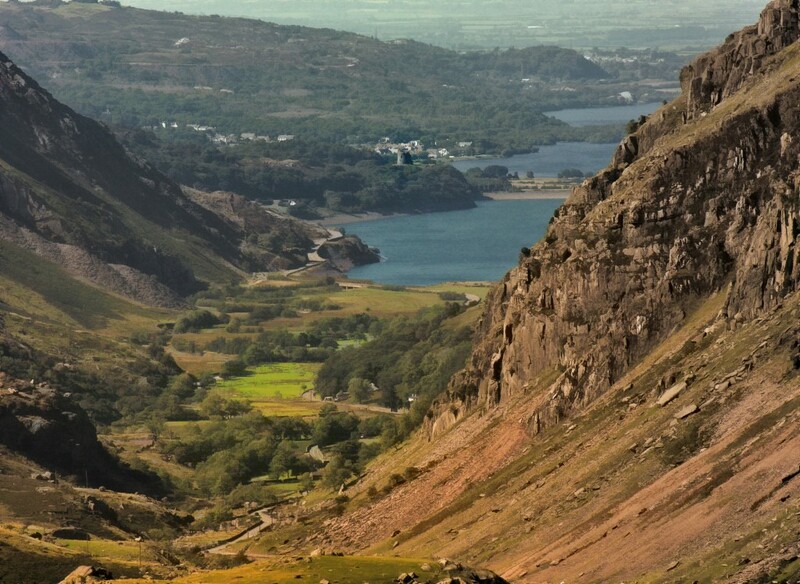 The slate mines on the outskirts of Llanberis and yet more lakes, Lakes Peris and Padarn are visible in the distance. This section of the A4998 is undoubtedly one of the most enjoyable driving sections of road anywhere on the British Isles. It deserves both respect and a great car in equal measure with tightening hairpins, sudden dips and blind corners. In Llanberis, if you want to go up to the top of Snowdon, you can get the train from here. It doesn’t take that long to scale the summit of Wales’ highest peak and on a clear day it offers some unbelievable views that stretch out to the horizon. At the top, you can get a bite to eat at the UK’s highest cafe and get a selfie with the sensational backdrop of the beautiful Snowdonian countryside. Once you’re back down to earth and back in the car, the road begins to flatten out on the other side of Llanberis. The bleaker moors give way again to rolling green hills. Follow signs back to Caernarfon. You’ve just completed a mammoth lap of some stunning scenery. Out of Glasgow follow the A82 northwards all the way to Inverness. On the way you’ll pass through some of the most spectacular, most expansive and most serene landscape in the whole of the British Isles. Put the pedal to the metal as you leave humanity behind. The emptiness opens up as you enter the vast wilderness of the Scottish Highlands. 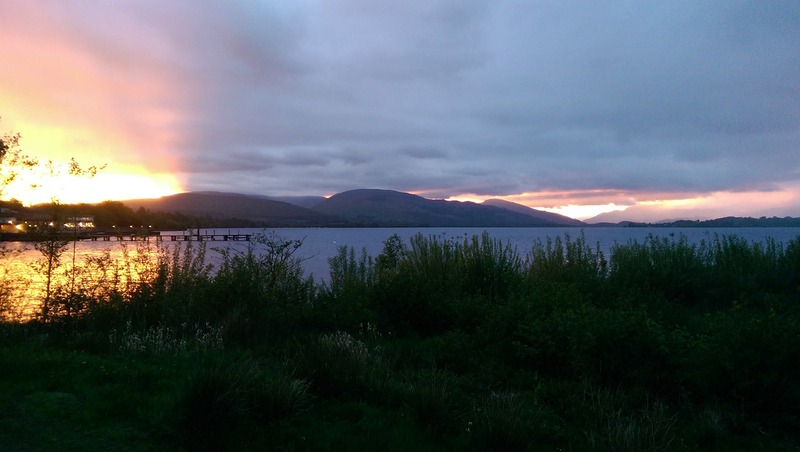 Take the high road, as you begin your Highland voyage following the bonny bonny banks of Loch Lomond, northwards for around 20 miles. After you leave those hallowed banks, you’ll be greeted by long-sweeping curves and sudden bumps and dips that sweep around rocky nooks and the unforgiving edges of the Highland foothills. The road then tracks the upland currents of the River Fillan until you leave the Loch Lomond and Trossachs National Park. The neverending bog extends in front of you as you pass Loch Talla, where you can take some much needed rest at the Loch Talla viewpoint. The barrenness extends throughout the landscape, as you push North, passing Loch Ba. 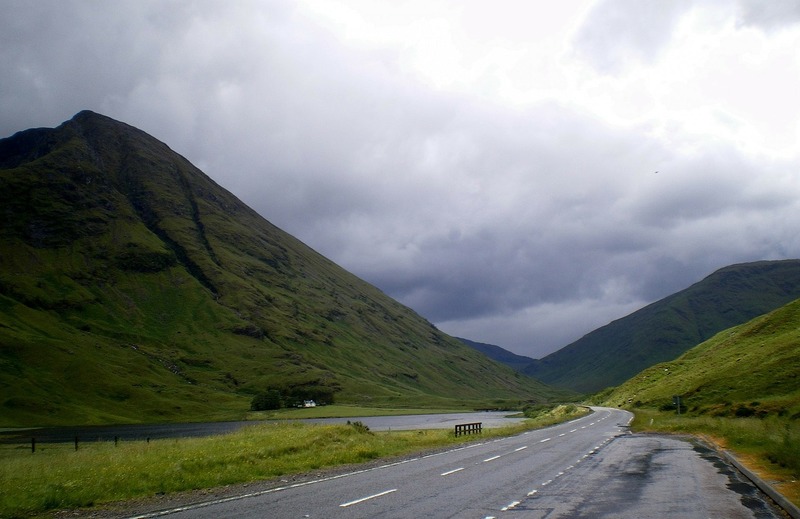 Depending on the weather and the traffic, you’ll soon be passing the famous Glencoe, where you’re greeted with a striking view of the rugged interlocking spurs of this famous glen. Driving on this road can be hard work, so it’s well worth taking a break again here and admiring the view. Afterwards, the road just keeps on giving as you drive along Loch Leven, before crossing it at Ballachulish Bridge. From here the road begins to bare East. You’re still following the banks of loch after the loch, before you reach the famous hiking hot-spot of Fort William. This is an ideal point to get some fish and chips and a coffee, because by this point, you will probably need a rest. You’re now in the foothills of Ben Nevis, the highest peak in the United Kingdom. Its dramatic peak dominates the sky. The road then cuts inwards and up to Spean Bridge, before rolling back down into the valley. There you see it, Loch Ness in all its mythical glory. You’ll be sandwiched in the Great Glen, following the edge of Loch Ness all the way through the Inverness. Your final destination. The A82 seems to have been built specifically with one thing in mind: Ultimate driving pleasure. But when you’re driving along this stunning road it’s important to stay focused, vigilant and pay it the respect that any Scot demands. Copyright © 2019 Heather Brady.